Some time ago I found this beautiful yarn: Bamboo Ewe by Debbie Stoller. Really nice mix of wool and bamboo with wonderful sheen looks luxurious and inspirational (especially for the price!). It took about two years before I decided on project for this yarn. Non of designs I found were good enough and, eventually, Glenelly has come to life. Aran weight called for... arans, duh! And blue color and shine reminded me of water, of river. River it is, said I, and christened the project Glenelly, after Irish river. I always find very attractive combination of raglan sleeves, oversize fit and cables. And my project features all of the above. For back and sleeves I choose textured pattern, because it makes the perfect canvas for cables. This pattern looks like seed stitch, but all the RS rows are knitted, which makes it easier to knit for me as a combined continental knitter. 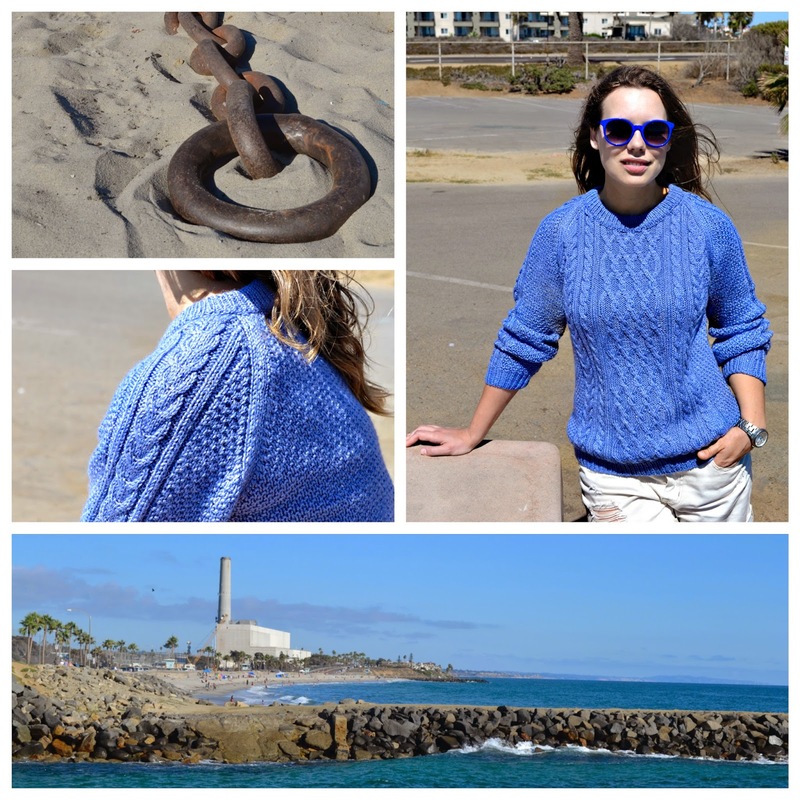 I made this design in 4 sizes: XS/S, M, L, XL and you can find it on Ravelry, Craftsy and Etsy. Enjoy! 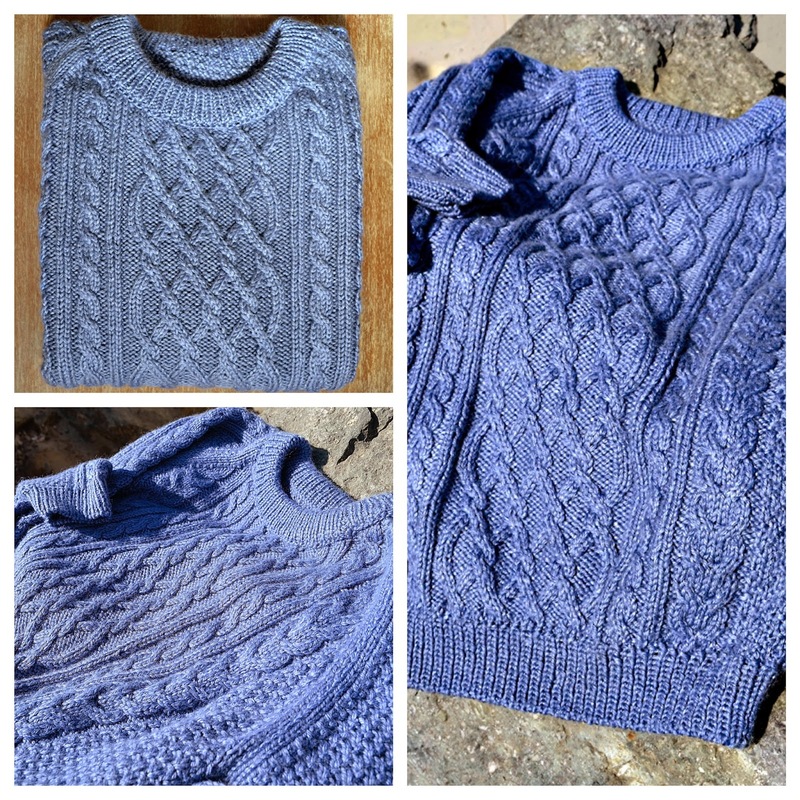 gorgeous sweater and a joy to knit! !